Cyprus, tucked away in the top right hand corner of the Mediterranean and at the South-Eastern corner of Europe, is located between Europe, Asia and Africa and rightly claims to be a stepping stone to three continents. Cyprus is the third largest island in the Mediterranean and has been an independent country since 1960 and a member of the European Union since 1st May 2004. The history of the island goes back to the Neolithic Age, the Ancient Greeks and the Romans. Churches and monasteries still stand from Byzantine times, castles and palaces from the days of the Crusaders and Frankish Lusignans, and walls from the Venetian days. It is an island chosen by the mythical gods and goddesses of Ancient Greece, who indulged themselves here in sport, pleasure and tragedy. Aphrodite, goddess of love and beauty, emerged from the Paphos foam to become a famous cult figure-centre of attraction for the first visitors who flocked to the island to worship her. In Cyprus there are times that one can enjoy all seasons in the same day! bring it to the region of the Middle East where some of the ancient civilizations of the world were born. Cyprus is situated in the north-eastern part of the Mediterranean Sea, 33Β° east of Greenwich and 35Β° north of the Equator and has an area of 9.251 square kilometres, of which 1.733 are forested. 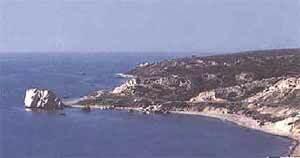 The population of Cyprus at the end of 2001 in the government controlled area was 705.500. The total population of Cyprus at the end of 2001 (including estimates for Turkish Cypriots) was 793.100. The capital of the island is Nicosia (Lefkosia) with a population of 206.200 in the sector controlled by the government of the Republic of Cyprus. It is situated roughly in the centre of the island and is the seat of government as well as the main business centre. The 1974 Turkish invasion and occupation of nearly 37% of the island's territory literally cut the capital in half. Cyprus has played a leading role in the history of the Eastern Mediterranean. Her history is one of the most ancient in the world. The oldest remains of civilisation go back more than 13000 years. Cypriot prehistory dates from the beginning of the 6th millennium BC. The discovery of copper on the island in the third millennium BC brought wealth and trade to Cyprus. The settlement of Myceneans and later Achaeans in the 15th century BC resulted in the development of the island into an important centre of Greek civilisation. The Achaeans founded Greek kingdoms in Cyprus on the Mycenean model, and introduced the Greek language and religion as well as the Greek way of life. The institutions of these kingdoms were maintained until the Roman period. Cyprus was very well known to the ancients for her copper mines and her thick forests. Her natural wealth and her strategic position made her the bone of contention between the powers of the Eastern Mediterranean in antiquity. She was conquered in turn by the Assyrians, Egyptians and Persians. Nonetheless, Cyprus managed to preserve her language and cultural heritage intact. In the 5th century BC Athens played an important role in the affairs of Cyprus, collaborating closely with the Cypriot kingdoms. During this period, the King of Salamis in Cyprus was Evagoras, who acquired international fame. After the division of the Empire of Alexander the Great, who had freed Cyprus from the Persians, the island became one of the most important centres of the empire of the Ptolemies of Egypt. Later, in 58BC, Cyprus came under Roman rule. 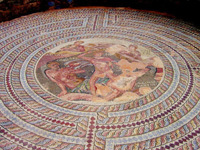 Both in the Ptolemaic and the Roman period, the sanctuary of Aphrodite in Paphos was the centre of the national, religious and cultural life of the island. Christianity was brought to the island by the Apostles Paul and Barnabas. The latter came from Salamis and was the founder of the Church of Cyprus. In 330 AD, on the division of the Roman Empire, Cyprus became a province of the Byzantine Empire and from then on followed fully the fortunes of the Greek Orthodox world. 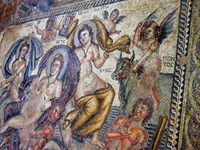 The Byzantine period left a rich artistic and architectural heritage in Cyprus. During the Crusades, Cyprus was conquered by the King of England, Richard the Lionheart, on his way to the Holy Land. Richard transferred Cyprus to the Order of Knights. The Knights then sold the island to the French Lusignans, who established a feudal kingdom on the pattern of those in the West. The Lusignan period lasted from 1192-1489 AD, when the last Lusignan Queen, Catherine Cornaro, was compelled to transfer her rights to the Republic of Venice, which ruled Cyprus until its conquest by the Turks in 1571. The Ottoman conquest resulted in the creation of a Turkish Cypriot community in Cyprus. This population came from the members of the Ottoman army who settled on the island and from Christians who of necessity became Moslem. According to the last official census in 1960, the Turkish Cypriot community made up 18.3% of the whole population of Cyprus. During the Ottoman period there are records of many instances when the Greeks and Turks of Cyprus joined together to struggle against the oppressive yoke of the Ottomans. Ottoman rule lasted until 1878, when the fear of the Sublime Porte of a Russian attack, led to an agreement between Britain and Turkey which provided for the cession of Cyprus to Britain in return for assistance from Britain to Turkey in the event of a Russian attack on the borders of Turkish provinces. 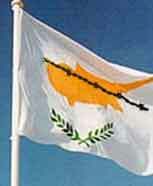 British rule lasted till August 1960 and Cyprus was declared an independent Republic (http://www.cyprus.gov.cy). There is a large number of websites that you can visit and learn almost all you want to know about Cyprus and its people. The websites given below are among the most important and contain even more useful links that you can visit.